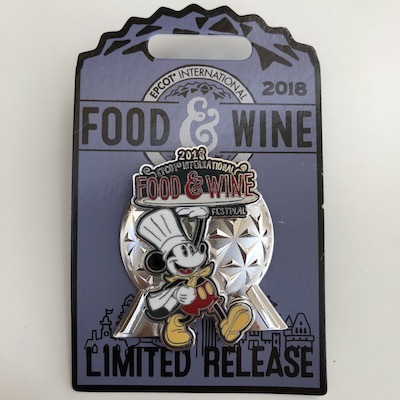 The 2018 Epcot® International Food & Wine Festival starts August 30, 2018 and runs through November 12, 2018. This is the 23rd year of this popular festival. 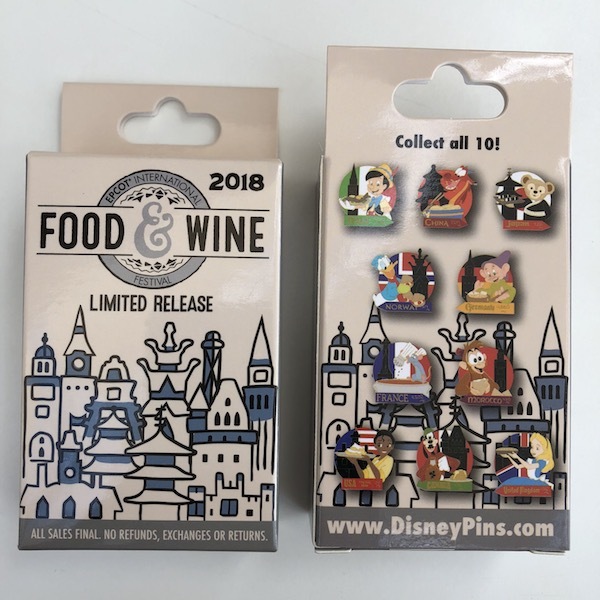 Here is a look at the Epcot Food & Wine Festival 2018 pins available this year. 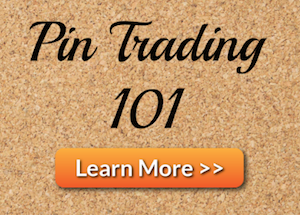 Event Logo Pin: Limited release. Retail price is $14.99. 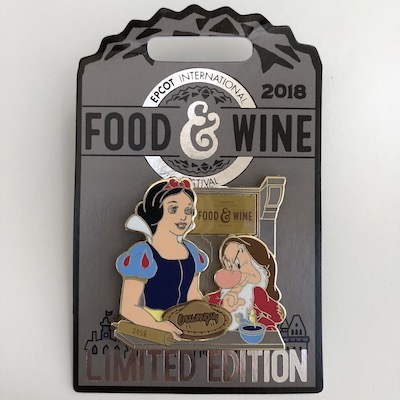 Snow White & Grumpy Pin: Limited edition of 4,000. Retail price is $16.99. 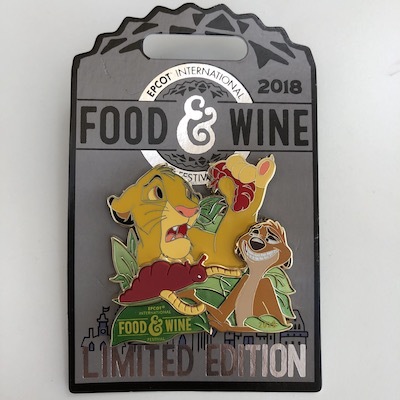 The Lion King Pin: Limited edition of 4,000. 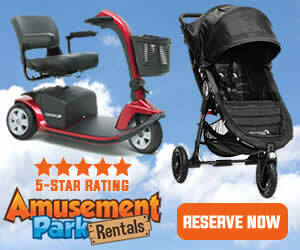 Retail price is $16.99. 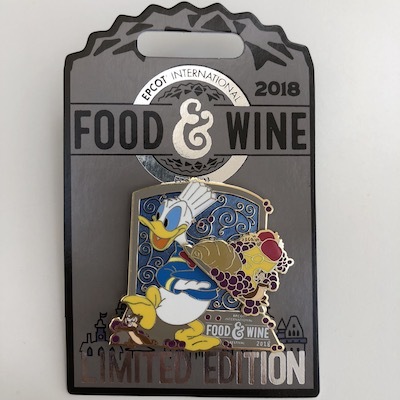 Donald Duck Pin: Limited edition of 4,000. Retail price is $16.99. 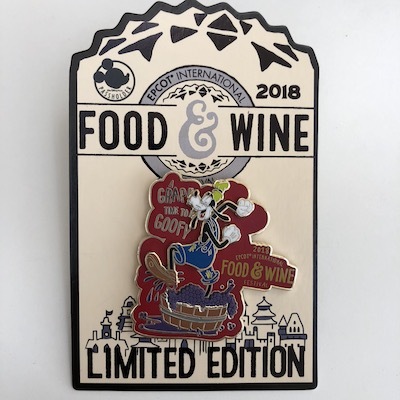 Goofy AP Pin: Annual Passholder exclusive. Limited edition of 2,500. Retail price is $16.99. 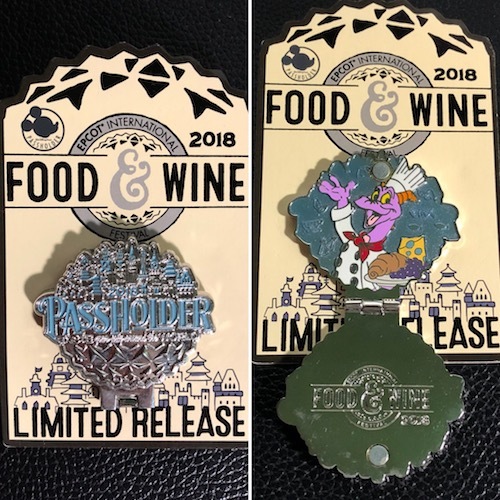 Figment AP Pin: Annual Passholder exclusive. Limited release. Retail price is $16.99. 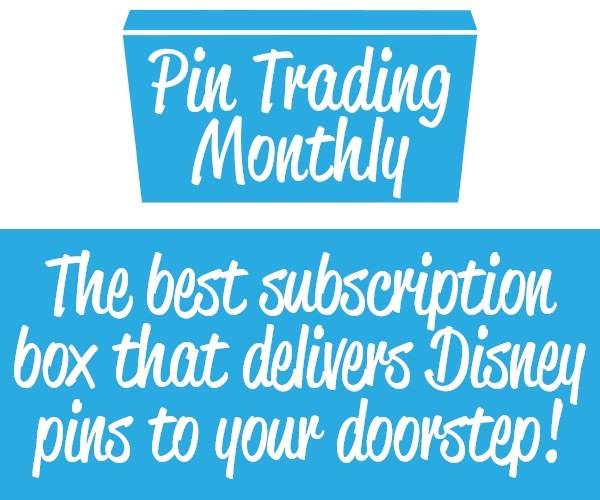 Mystery Pin Collection: Each box contains two randomly selected pins. 10 pins in total. Limited release and the retail price is $19.99. 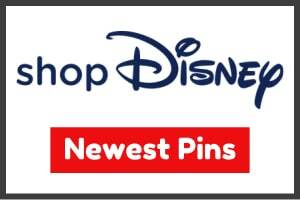 The best place to purchase event pins at Epcot is Pin Central behind Spaceship Earth, or the Festival Center. You should show a picture of the annual passholder pins when they are closed. It says ‘Passholder’ and has the art that’s on the box with all the buildings from world showcase at the top, and spaceship earth below it. Really adds to the pin in my opinion.